Quadratic Erratic looks at how four New York-based artists use systematic approaches to different materials and subject matter. Varying stylistically and conceptually, they all nonetheless share a commitment to layering essential information to arrive at a final form. 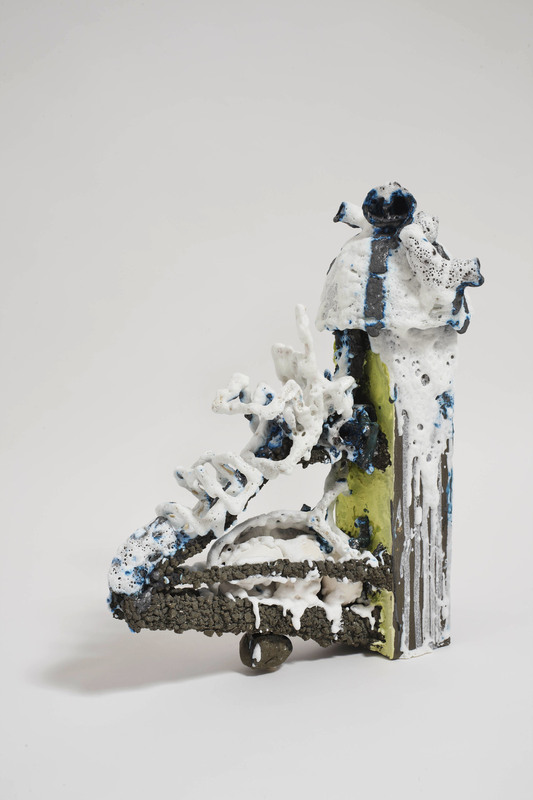 The exhibition will feature painting, drawing, and ceramic sculptures selected and installed to create surprising juxtapositions. Among the artists whose work will be on view are Jennifer Coates, Jamian Juliano-Villani, Paul Krause, and Benjamin Ritter. Jennifer Coates's densely layered paintings suggest cosmic and corporeal changes. Oscillating between painterly and orderly, they connect geometric clusters with luminous skies and reflective pools. From swirling nebulas of color emerge forms that evoke phenomena ranging in scale from cell bodies to geological formations to solar systems. 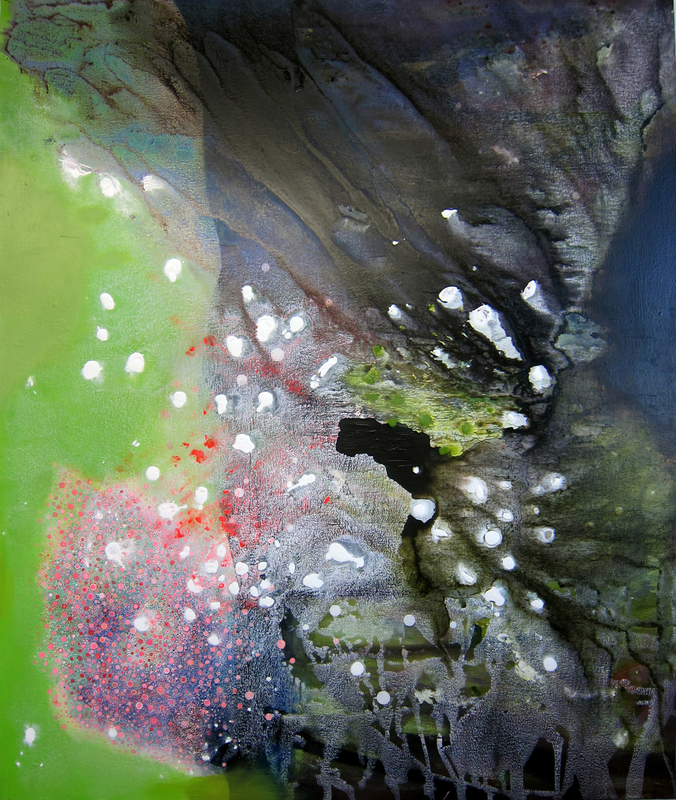 Her paintings brings forth concepts of evolutionary morphology and the interconnectedness of organic matter. Jamian Juliano-Villani's colorful paintings grapple with social mores and unearth taboos. She repurposes a lexicon of deranged characters taken from obscure print sources, and brings them into unsettling new worlds where grotesque rubber band limbs tangle in conflict and affection. Her paintings are the visual equivalent to a tremulous cocktail, mixed of equal parts disillusionment, absurdity, and sly humor, that leaves one happily punch-drunk. Paul Krause's ever-evolving totemic sculptures are assembled from an inventory of handbuilt, cast and wheel-thrown ceramic elements. He is ceaselessly making and remaking them until arriving at final abstract forms where glazes achieve a painterly quality in the diversity of surface textures. What is in actuality a highly technical and slow process looks spontaneous and playful in Krause's world. Combining interests in industrial design and surrealism, his works collapse the strange in-betweens of permanence and decay, ancient and otherworldly. 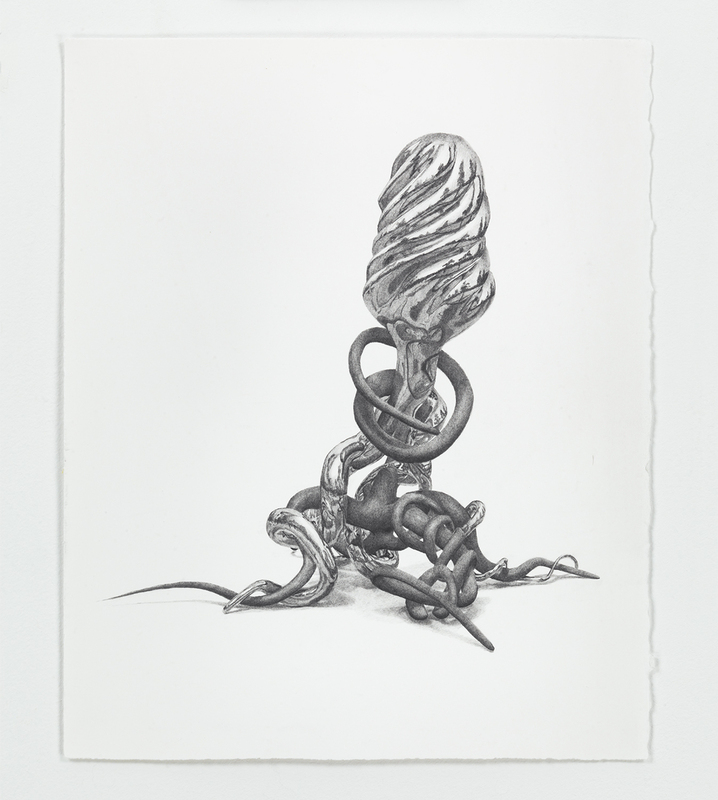 Benjamin Ritter's graphite drawings are meticulously translated from digital renderings. Through techniques such as repetition, recursion and physical repetition, his biomorphic abstractions become uncannily naturalistic. The highly realized drawings invite viewers to enter a deeper level of representation, questioning the meaning of the virtual and the actual. Jennifer Coates was born in Pennsylvania. She received her MFA from Hunter College in 2001. Coates has exhibited her work extensively in the United States and abroad. Her works have been reviewed in Flash Art Magazine and New York Times. She lives and works in New York. Jamian Juliano-Villani was born in Newark, New Jersey. She received her BFA from Rutgers University in 2011. She has exhibited nationally including upcoming solo exhibitions in Chicago and Brooklyn, and will be featured in the latest issue of Modern Painters magazine. She lives and works in Brooklyn, New York. Paul Krause was born in Sea Cliff, New York. He received his BFA from the University of Colorado at Boulder in 2000. 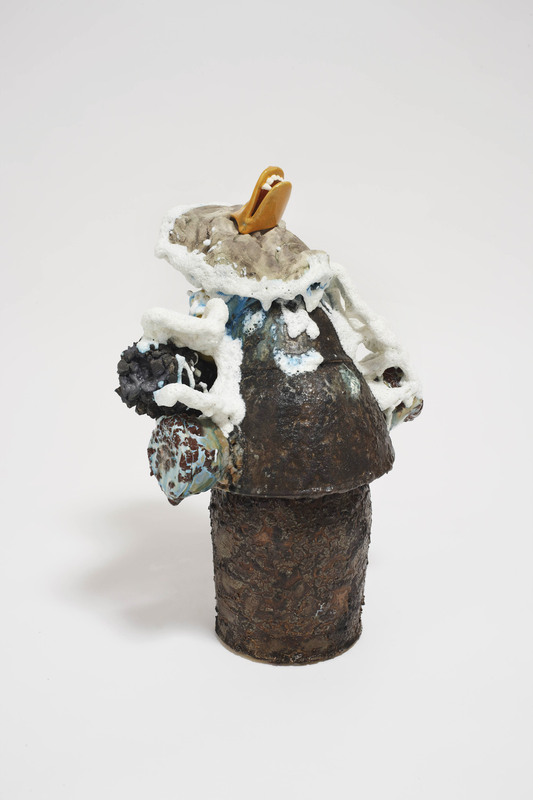 He has exhibited in group shows at Luhring Augustine, Greene Naftali, and Brooklyn Botanic Gardens, among others. He lives and works in New York. Benjamin Ritter was born in Newport Beach, California. He received his MFA from University of California, Santa Barbara in 2005. He has exhibited nationally in numerous group exhibitions. He lives and works in Brooklyn, New York. Ginger Cofield is a fiction writer and freelance arts administrator based in Brooklyn, NY. She has held positions at James Cohan Gallery and The Studio Museum in Harlem. Her curatorial experience includes Cosmologies and MASK at James Cohan Gallery, and 196 Guernsey installed in a historical home in Greenpoint, Brooklyn. Alisa Ochoa is an artist and curator for a private collection. She lives and works in Brooklyn, New York.